Orange Limousine now has a fleet of three fully stretched Limousines and four luxury sedans. We enjoy having our fleet comfortable, clean and ready to chauffeur you around for your special occasion. Our three Ford Fairlane LTD have their own unique features from mag wheels, sunroof or a V8 engin. Sedans range between our latest, classie Chrysler, smart Merceedes Benz to heritage Rolls Royce and Jaguar. If your arranging your wedding, birthday celebration, airport transfer or a business meeting we can provide safe chauffeured transport. 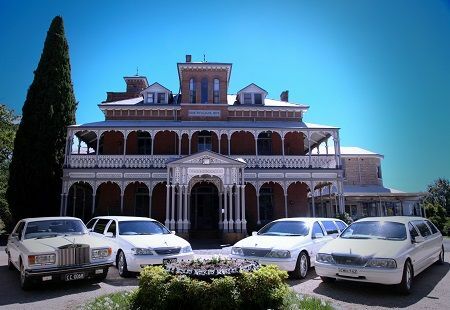 Our chauffeurs have many years experience in all vehicles and have a vast knowlege of our local area and the Central West.